Deciding where to send your child on that first day of school is a big decision. To help calm your nerves and know that you’re making the right decision for you and your family, it’s important to first weigh out all of your options. From charter schools to public or private, there is no single right answer but depends upon your child’s personality, personal needs and educational goals. For some, public school works out just fine. For others, it can be a difficult journey. Knowing the facts can get you on the right track, whatever that ends up being for you. Charter schools are often described as public schools that have been “reinvented.” They fall under the same funding as public schools, but offer various educational options and often require more parental involvement than the typical public school. Established in the 1990s, charter schools were very controversial at first, but now they tend to be wildly popular in a world where traditional public schools continue to fail in the U.S. It is difficult to say whether your local charter school is a good or bad fit for your child versus your public school, the reason being that all charter schools are different. There is no foundational guideline – there can be a huge spectrum of different charter focuses from American Patriotism to Performing Arts. Truly, if there is an interest or a sentiment of something someone feels is important to impress upon kids, chances are a charter has been written and proposed. The best way to describe charter schools is to say they’re public schools free of any standard district rules and regulations. They are usually also much smaller than public schools. If you are wondering whether or not a charter school is right for your child, research the ones near you and explore what their emphasis is. Would your child fit in well with that focus? If you have a little wallflower, would a performing arts charter school be a help or hindrance in his life? Are you willing to put in the mandated volunteer hours, or do you prefer to let teachers teach and enjoy your child in non-academic ways? Does the charter school you have your eye on have a lottery? Almost all do – so be sure you know the deadline date. Lotteries are usually extremely competitive, especially in areas where the public schools are exceptionally bad. The pros of charter schools definitely come through personal attention and finances – should your child land a spot in a class, you will likely get a better education for no additional cost. Many parents choose to send their children to private school for one of two reasons: religious belief or discontent with the public school system. If your child does not get into a charter school, or you aren’t interested in the public school format, then private school is a great option for certain families. It can also be a pricey one; prepare to spend thousands of dollars per year on your child’s education, which can be difficult for many families who have more than one child. Catholic schools are likely the most prolific of private schools. Some students are plugged into the church parish (which, heads up, usually does not yield any sort of discount), while other students will come from all over. Some will also not practice the Catholic faith, but are placed there by parents who just appreciate the family-friendly moral ground when it comes to school. Secular private schools tend to be even more expensive in particular regions of the country, but if reputation and quality of education are among your top priorities then that may be the best route for you. Even with charged tuition, you will still likely be asked to fundraise, just like in public or charter school. Private schools also usually require a school uniform – this may seem a moot point, but when you’re exhausted at the end of a long day, it may suddenly become a big pain to have to do a load of laundry. While public schools tend to get a bad rap, many are quite excellent. It all depends on where you live. 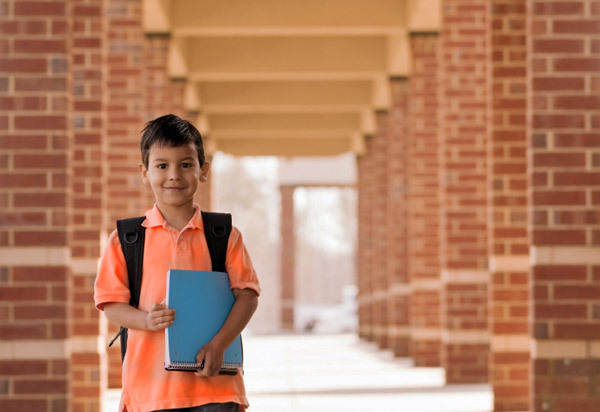 Santa Clara, California has an elementary school district that continuously receives a 9 out of 10 when it comes to everything from standardized test scores to parental satisfaction. But in Washington D.C., right where our nation’s capital makes all decisions, some of the absolute worst schools are found. Ask friends and family about the different schools available in your district and read reviews online. If you choose to send your child to a public school, whether it’s good or bad in reputation – be sure to stay involved. Being engaged in your child’s education is the best way to ensure a quality school experience wherever you go. Picking a school that fits both your child’s and your family’s needs is a big decision. Doing your research and weighing your options is an important part of the process. Unfortunately there is not one right answer and varies upon your area, financial situation, and most importantly your child’s needs. In the end, you determine the academic world your child has to draw from – you will be their primary teacher from preschool through well past college.